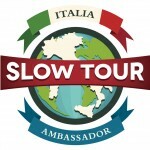 Italia Slow Tour staff periodically chooses some new Ambassadors between all the readers sharing their thoughts and travel experiences in Italy with our Community… Participate posting your travel diaries, videos, photos and reportages, next time you will come back to Italy for free as our guest! No metter what, you can describe a long route through many different places or focus on a single location/point of interest. What’s your approach? Are you interested in sport? Art and culture? What about food? Shopping? Have you got tips for practicing accessible tourism? 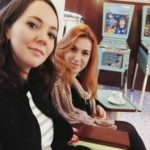 Share your travel, but in English please! (Videos in your homeland language should be subtitled in English). 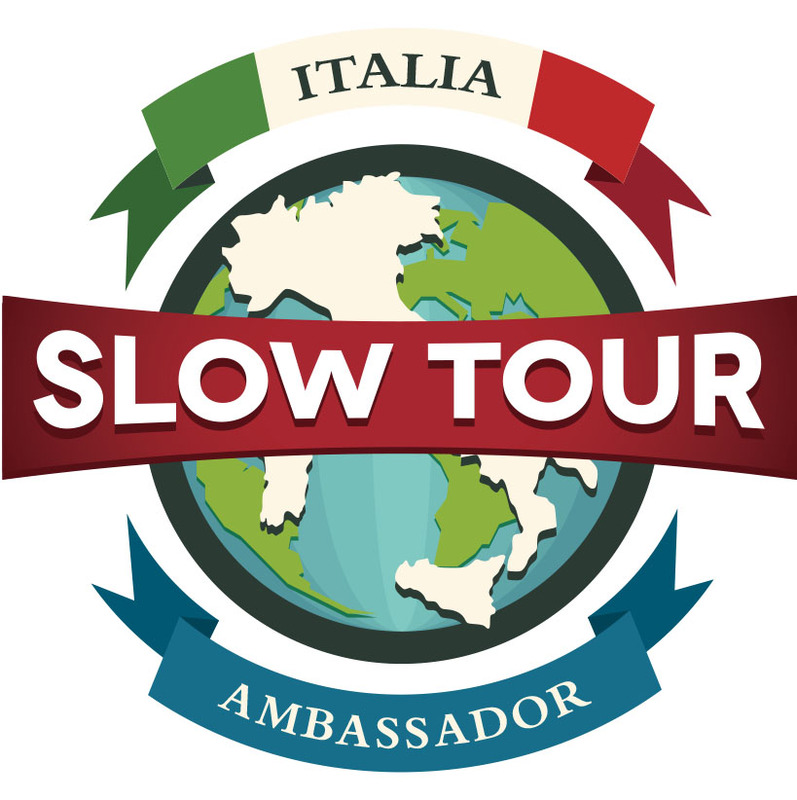 Send your travel to info@italiaslowtour.com, you would be selected as our next Italia Slow Tour Ambassador and be our guest in others trips to Italy! By sending your travel diary you agree to our Terms of Service. Libby Key is a globetrotter, a passionate writer and a lover of all things Italian. She majored in Italian at Trinity College Dublin and graduated with a distinction in her thesis on Sicilian migration to North America, winning the Evasio Radice prize for graduating top of the class. Based out of Los Angeles up until 2015, she is of Italian heritage with her great-grandfather coming from the Campania region in Italy. 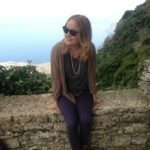 She recently moved to London, continuing in her life of travel, and spent time blogging about her journey running the London marathon. Read: Nomad’s Land: In the Footsteps of Saint Francis, Biccari, a real Italian ‘borgo’, Gargano Getaway. Read: Active tour: Discover Milan by bike! (pt. 1), Milan active tour: a day at the Idroscalo (pt. 2), Tuscany calling, an MTB tour (day one), From Montecatini to the Marsh Land of Fucecchio (day two). Wolfgang is a travel guide and a member of the German Cyclist Association (ADFC), for Bavaria area. The local and district associations of the ADFC offer members and non-members several cycle tours throughout Germany of varying difficulty and duration. 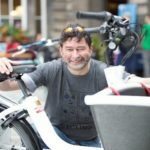 They also run function as tour operators, organizing and guiding bike travels abroad, promoting biking and active tourism not only for athletes but for everyone who likes slow travel, contact with nature, cycling. 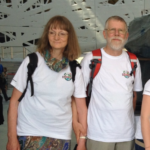 He travelled in Italy as Italia Slow Tour Ambassador together with his wife Gabriele, aka Gabi. Read: Florence Slow Tour!, Exploring the Maremma Park, One day at EXPO Milan. Read: Western Sicily Slow Tour: (ep.1) Sikania emotional trip, (ep.2) Sicilian Food, (ep.3) Agrigento beauty walks, (ep.4) San Biagio Platani, the bread arches. Milan, Urban Railway Slow Tour: (ep.1) Certosa di Garegnano, (ep.2) Santa Maria della Fontana, (ep.3) Collezione Branca Museum, (ep.4) Villa Necchi Campiglio, (ep.5) Chiaravalle Abbey & Nocetum Centre. 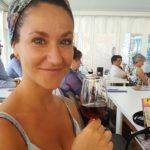 Piedmont & Wine Slow Tour: (ep.1) Turin, (ep.2) Discover Chieri: history and the city, (ep.3) Are you a foodie? Italy is the place to be, (ep.4) Di Freisa in Freisa, the event. Tanja: Born and raised in Moscow, Russia. At the age of 25 years old decided to become the human of the world and started her way from moving in Rome to study photography. Now is living in Milan and working as fashion and reportage photographer. 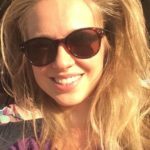 Svetlana: Russian writer and travel blogger. 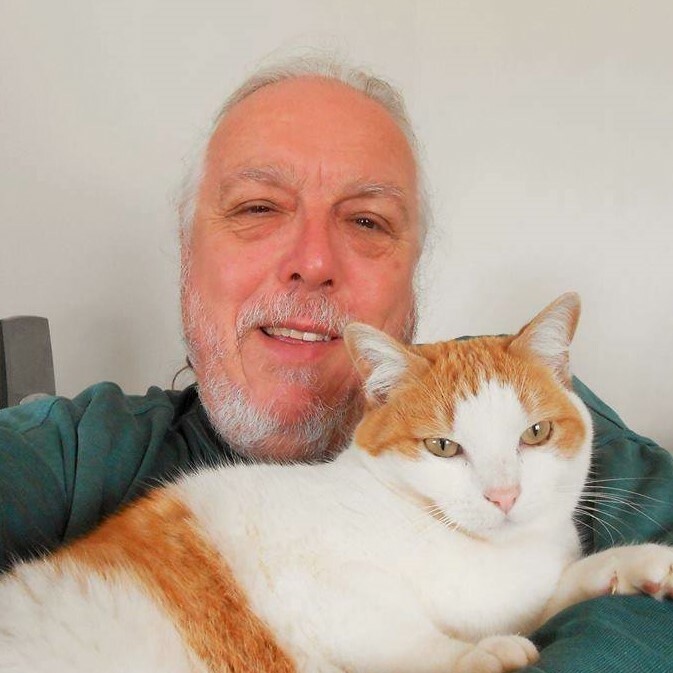 Special correspondent of “Sapog” – russian magazine and website in Italy. In her articles she tells about travels, food and fashion. Read: My untypical Italy: Cammino Francescano della Marca, Art weekend in Milan style. Chiara is a world traveler based in Switzerland. After completing her higher education in the Unites States, she has divided her time between writing and following her dream of visiting new and exciting places. An outdoors enthusiasts, she hikes, bikes and skis her way through Europe on a regular basis. Other wise, you will find her at home, either experimenting in the kitchen or on the couch, dreaming up her next adventure. Read: Milan, a place where stuff happens, Marche Express: Roaming the streets of Ancona, Weekend in Umbria. 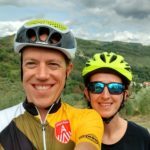 Read: Bicycle Trip Tuscany: Montecatini Terme by Nele, Bike Experience around Montecatini Terme by Dries. 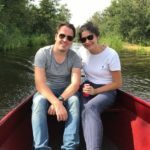 She is Italian, he is Dutch and they met in Spain. After living in Bologna, where they studied not only a master education but also the local cuisine, they moved to the Netherlands for a new adventure. Passionate about fine food, they cannot live without Italian pizza e gelato. Every year they want to go to a different country but they end up in one of Italy’s beautiful regions for a relaxing holiday and a great cultural experience. Read: Slow tour through the Apennines of Modena, Our day trip in Ferrara, The good politics of Castel del Giudice, Slow Tour in Veneto. 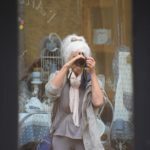 Born in the Hardware City – New Britain, Connecticut – where her grandparents moved from the Valtellina to work in the factories – Virginia Merlini is an almost-retired academic whose research interests require lots of time in Italy with a camera and good walking shoes. Virginia spent three years getting her Italian citizenship and now spends as much time as possible in Italy visiting a different town each day and taking fabulous photos of her two special themes – Wall Madonna’s and doors – and all the surrounding architecture, scenery, and culture one finds them in. Her passion is all things Italian and sharing that passion through her travel journals. Read: A walk around Lecco and Pescarenico, Varese: The Sacro Monte of the Rosary, Lecco: Colico and the Piona Abbey, Umbria: Agello, Bettona and Spello, Five hours in Rome!, Cremona, the violin city, Slow tour through the villages of Valtellina, Monza: the legend of Queen Theodelinda, Slow Tour on the Lake Como, Calcata, an ancient town redeemed by hippies, Milan: Art of the Naviglio Martesana, Lake Como: The Lariana Boat Collection.